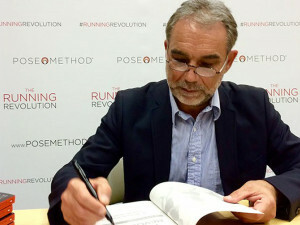 Dr Nicolas Romanov has traveled the world sharing his concepts of what he terms “Pose Running”. Long before the buzz associated with the infamous tale “Born to Run”, Romanov has been teaching runners that heel striking is not only killing us, there is far more performance to be had if we allow gravity to guide us. Listen as Richard Diaz and Dr. Romanov compare notes, share theories and beliefs on what they believe is the way to run and the way not to run. Were we born to run? Maybe… but our feet we’re not designed for concrete or pavement and surely to migrate to these surfaces is not what was intended to be the right approach to Natural Running. Anyone who is a fan of proper running form will benefit from this interview.